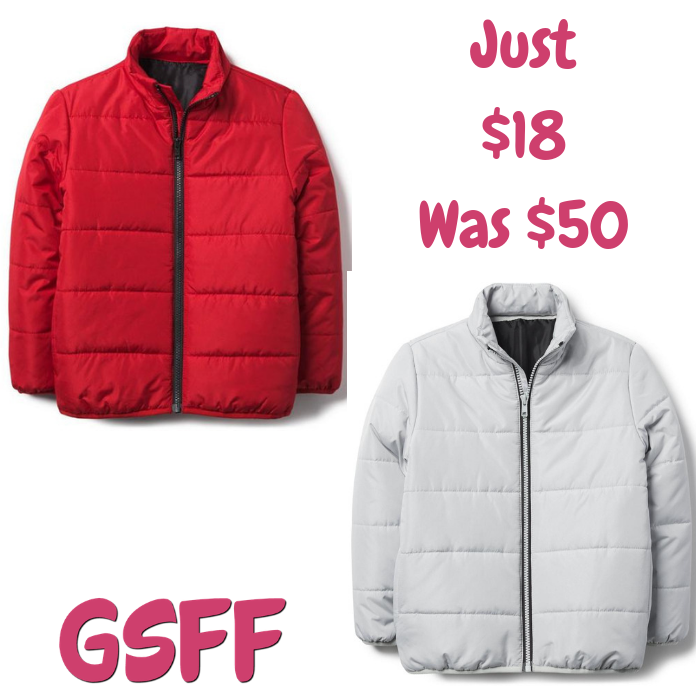 Kids Puffer Jackets Just $18! Down From $50! You are here: Home / Great Deals / Black Friday Deals / Kids Puffer Jackets Just $18! Down From $50! At Crazy8.com, you can score these Kids Puffer Jackets for just $18 down from $49.88! Shipping is FREE for orders $75 or more! If you are looking to buy for Christmas presents, then this is hard to pass!